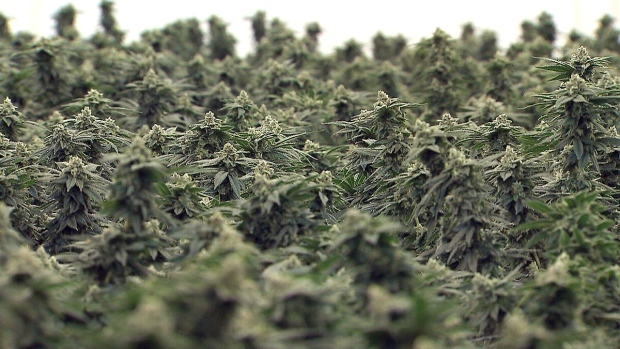 Ontario grower Tweed is among those planning to expand. The company grows about one-quarter of all medical marijuana sold in Canada, on the site of a former chocolate factory in Smith Falls, Ont. “This facility is ready to expand to meet a growing market,” President Mark Zekulin told CTV’s Richard Madan, while offering a tour of the facility Friday. Zekulin said he expects Canada to take “a slower, more prudent approach” than the U.S. state of Colorado, which legalized the drug in 2012 and immediately allowed it to be sold in many retail locations. A slower approach will “ensure all Canadians get access to safe, quality products they can rely on and enjoy,” Zekulin added. Marijuana entrepreneurs will be watching parliamentary secretary Bill Blair closely, after it was confirmed Friday that he will be the point man as the Trudeau government develops its new rules. Blair, Toronto’s former tough-on-crime police chief, said last month that the government intends to strike a federal-provincial task force to design a “strict” sales and distribution system. The former chief’s appointment is not going over well with both legalization advocates and his former law enforcement colleagues, including Clive Weighill, president of the Canadian Association of Chiefs of Police. “We need an instrument to measure THC levels. We don’t have that right now,” Weighill said.